Runtime 1 hr. 53 min. SynopsisThe house rips apart piece by piece. A bellowing cow spins through the air. Tractors fall like rain. A 15,000-pound gasoline tanker becomes an airborne bomb. 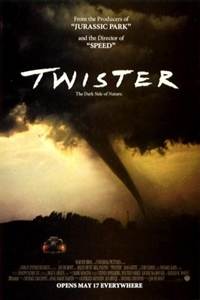 A mile-wide, 300 miles-per-hour force of total devastation is coming at you: Twister is hitting home.